Carl Icahn is getting himself involved in one of the most – if not the most – financially convoluted casino firm in the world. 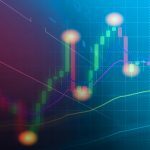 Icahn recently disclosed a 9.78% stake in Caesars of over 66 million shares through a combination of himself personally and his various corporate entities, including Icahn Enterprises (IEP). 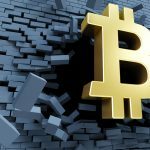 It may be tempting to follow him into the Caesars whirlpool rivaling Jupiter’s Great Red Spot, but there are less crazy ways to gain exposure to this move than buying Caesars directly. If you want some exposure to this and you trust the guy, then take a stake in IEP. It pays a 10% dividend at the current price of $70 a share. 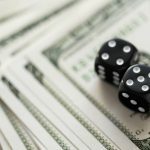 Caesars of course pays no dividends, has no plans on paying any dividends in the near future, and can’t even remotely afford to. Icahn wants his own men on the Caesars board and Caesars isn’t fighting back. They’re being openly cooperative with him. The undercurrent seems to be that they are a bit uncomfortable with the whole situation, listing him as a risk factor on their annual report. 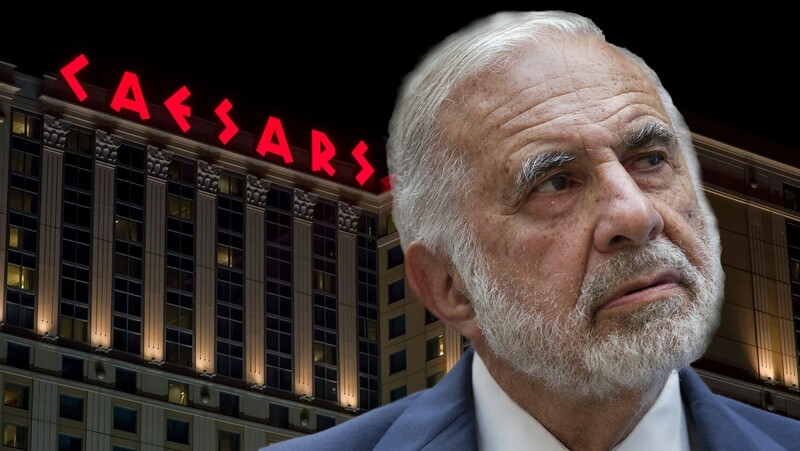 Icahn wants to see a sale and Caesars has basically told him that they’ve tried but have been unable to do it at terms that they consider fair to shareholders. Since news of Icahn’s stake broke on February 19th, the stock is down over 8%. 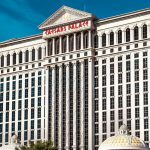 So let’s take a look at what any prospective buyer would get with Caesars. A fair warning – it is very confusing. If you thought they cleaned up their balance sheet when they came out of bankruptcy, think again. It’s arguably even weirder than it was beforehand. The first thing we find on the surface is $9.1 billion in debt. Not so bad, considering it used to be $25 billion. Alright. This is the number that will be reported on by the mainstream media when they write up a blurb about Icahn and Caesars and mention the recent bankruptcy. But they won’t go any deeper than that. Scratching just below the surface, $6.24 billion of that debt is floating rate, but $3 billion of that is protected with swaps, so while we have a company officially leveraged 155%, only 36% is exposed. So just below the surface it doesn’t seem so bad. Maybe Caesars can climb out of this. But if that were the case, they would have found a buyer by now. Here’s where it gets crazy, and this is just the start. In addition to the $9.1 billion in vanilla debt recognized as debt officially on its balance sheet that everybody knows about, they have an additional $10.1 billion not in “debt” but in something called “failed sale-leaseback financing obligations.” It sounds like a bad name for an all-CFO rock band. What are these? There’s a whole section in their 10-K released last week that explains what the heck these are. Basically they act like liens on Caesars’ cash flow, payable to VICI, which owns its real estate. 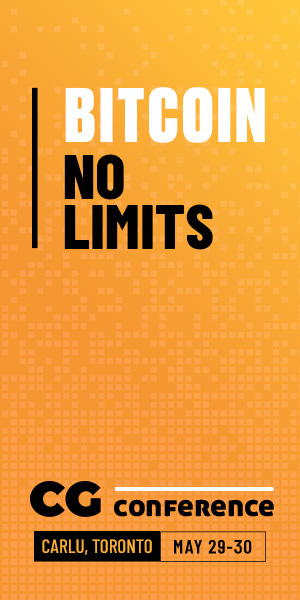 Here’s a screenshot from the latest annual report. I edited the spacing so it could fit visually on the page but not the numbers. 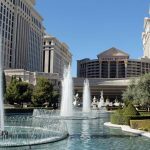 It constitutes Caesars total minimum lease obligations to VICI. Here’s another screenshot with even more extreme numbers that includes the above plus all financing obligations. …for failed sale-leaseback transactions, we continue to reflect the real estate assets on our Balance Sheets in Property and equipment, net as if we were the legal owner, and we continue to recognize depreciation expense over the estimated useful lives. We do not recognize rent expense related to the leases, but we have recorded a liability for the failed sale-leaseback obligations and the majority of the periodic lease payments are recognized as interest expense. So in reality, there are a lot less assets and a lot more debt on its balance sheet than are actually listed. 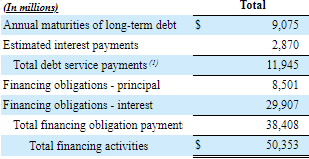 If you’re wondering why interest expense was $1.346 billion last year even though Caesars only holds $9.1 billion in debt, which still puts it at 155% leverage, this is why. The reason Icahn wants a sale is that without one, Caesars will never be able to make money considering how deeply its future is mortgaged. Icahn wants someone with very deep pockets to really clean house, but I have no idea how he’s going to find one or why he’s doing this, really. He’s of course a lot better than almost anybody at making money, so maybe has a grand master plan or something. You want to follow Icahn into this accounting mess, hoping he’s got something in mind? Good luck.